A 28-year-old man has appeared in court charged with murdering another man in South Lanarkshire. 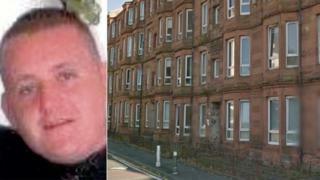 David Strathern is alleged to have stabbed and killed James Connelly, 28, at Greenhill Road, Rutherglen, on Sunday. He is accused of striking him on the body "with a knife or similar implement". Mr Strathern, from Rutherglen, appeared from custody at Glasgow Sheriff Court and made no plea or declaration. He was remanded in custody and will appear in court again next week.